Bhubaneswar: Marking another significant development in the spread of the Pradhan Mantri Urja Ganga in Odisha, Hon’ble Minister for Petroleum & Natural Gas and Skill Development & Entrepreneurship, Shri Dharmendra Pradhan inaugurated supply of Compressed Natural Gas (CNG) and CNG-run scooters in Bhubaneswar today. GAIL is implementing the prestigious Pradhan Mantri Urja Ganga and also the City Gas Distribution (CGD) projects in Bhubaneswar and Cuttack. The Hon’ble Minister also inaugurated CNG stations in Chandrasekharpur and Patia today. Two more stations are being constructed in Khandagiri and Tamando. Over the coming years, 25 CNG stations will be commissioned in the twin cities of Bhubaneswar and Cuttack to supply CNG to vehicles. 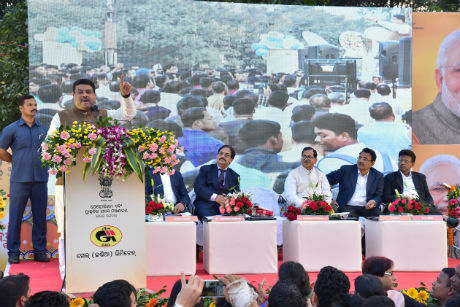 Minister Sri Pradhan said that, “by use of CNG instead of petrol and diesel in two wheelers one can save up to 30 to 40 percent of his oil expenses per month”. 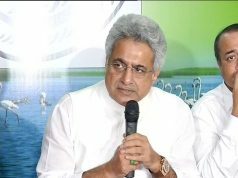 While many cities of India are suffering due to pollution, CNG will be a smart fuel for smart city like Bhubaneswar, the capital of Odisha, the minister added. 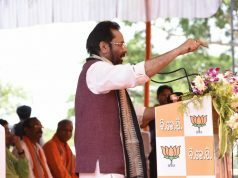 Sri Pradhan said that, Rs 5000 crore will be invested for pipeline project. From these Rs 5000 crore Rs 2000 crore is estimated to be invested for development of human resources. In first phase Rs. 1700 crore will be invested for Compressed Gas Distribution (CGD) 100-100 km Pipeline in Cuttack-Bhubaneswar. With the construction and maintenances of these pipelines, it will create huge employment for the local youths and it will help in boosting Odisha’s economy. Among others GAIl India Director (Projects) Dr. Asutosh Karnataka, ED (Eastern Region) Mr. KB Singh, PNGRB members Mr. Satpal Garg and Mr. S K Rath and seniors officers of OMCs were present at this occasion. Initially, natural gas will reach Bhubaneswar in special containers called “cascades” which will be transported by road from Vijaywada in Andhra Pradesh. Later, Natural Gas will be supplied through the 2655 km long Jagdishpur – Haldia & Bokaro – Dhamra Natural Gas Pipeline (JHBDPL), popularly known as the Pradhan Mantri Urja Ganga. The Hon’ble Minister will also lay the foundation stones for new Dhamra – Angul 36 inch main line and Bhubaneshwar – Cuttack – Paradip 12 inch spur line on December 17, 2017 which are part of this pipeline project. The Hon’ble Minister also launched CNG-run scooters in the city. Earlier, these were available only in Delhi, Mumbai and Pune. To make it convenient for people to convert their two-wheelers to CNG, GAIL has associated with Bank of Maharasthra to launch a unique financing scheme which will enable the user to convert his or her scooter by paying an EMI of Rs. 500/- every month. Further, tie up for other banks like Punjab National Bank are also being done on similar lines. 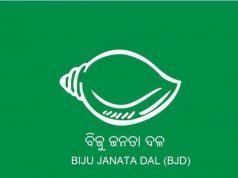 Three kit manufacturers have been approved by Transport Commissioner, Odisha for retrofitting of CNG kits in vehicles. Kit manufacturers have also appointed their dealers for Bhubaneswar. Awareness programmes have been conducted for Auto Rickshaw owners and drivers and such initiatives would be continued in future also for the smooth transition of vehicles to CNG. The overall capital expenditure for the Bhubaneswar and Cuttack CGD projects will be Rs. 1,700 crores, of which Rs 400 crores will be spent in the next three to five years.